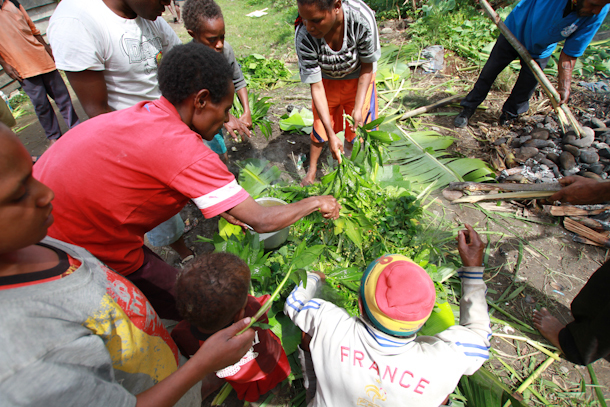 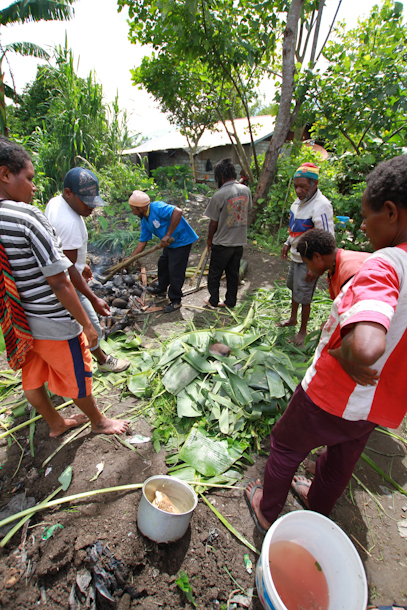 Cooking traditions are different everywhere in the world. 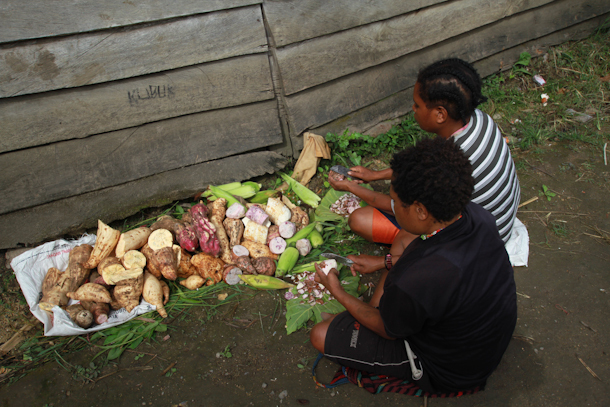 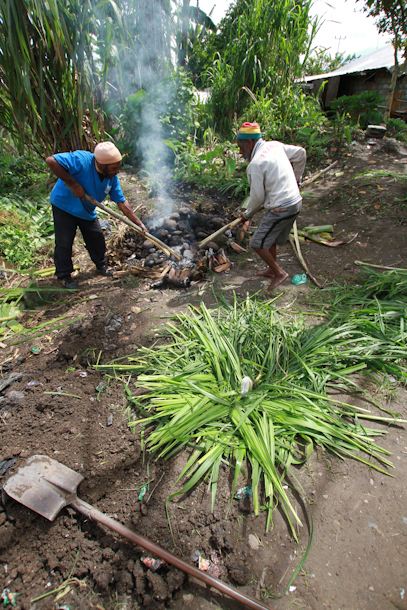 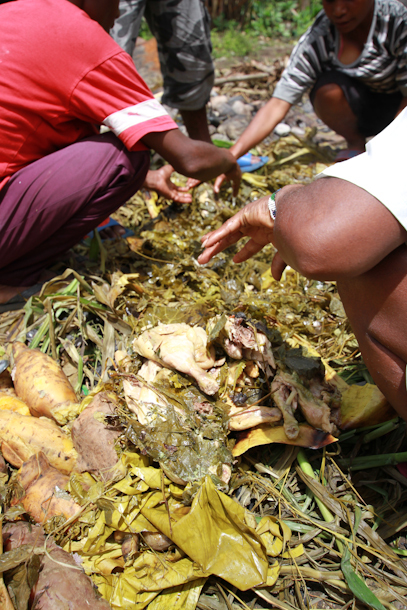 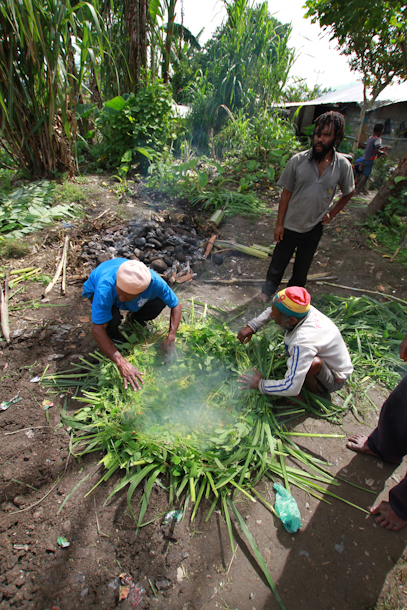 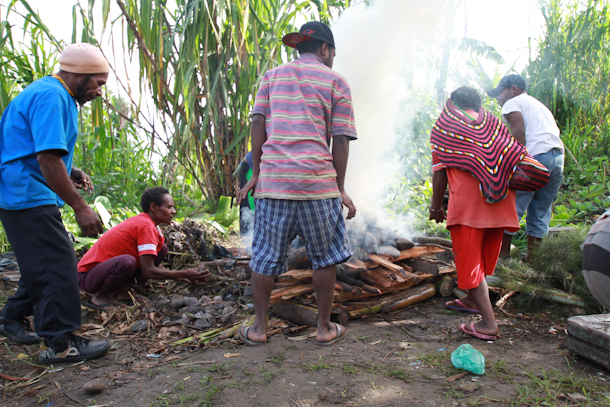 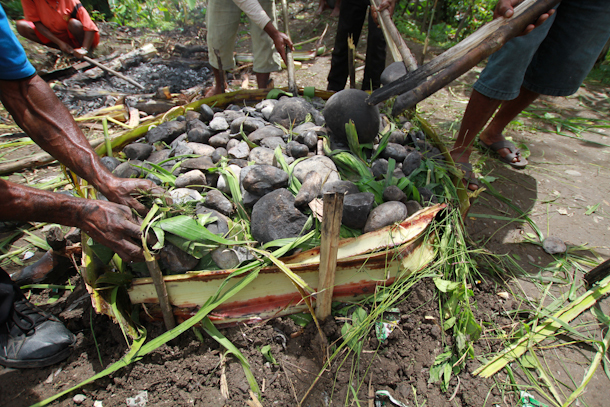 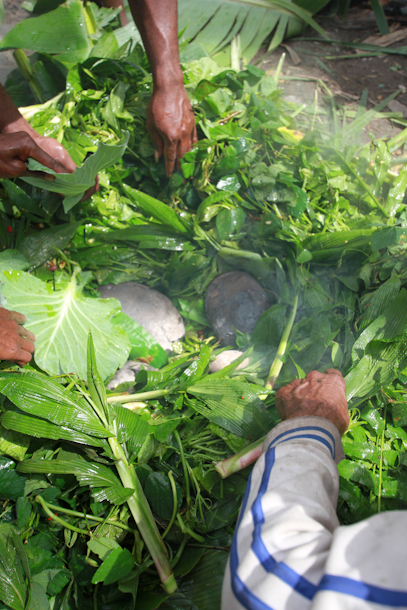 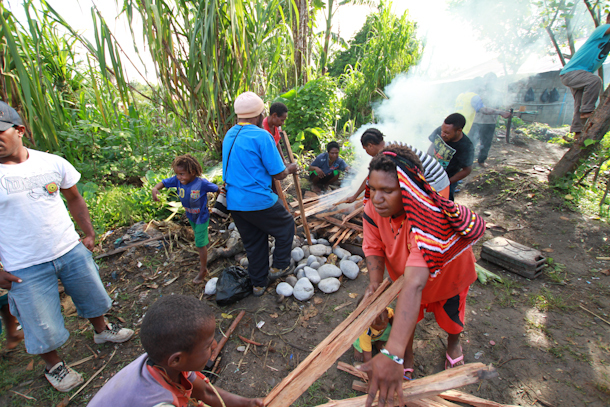 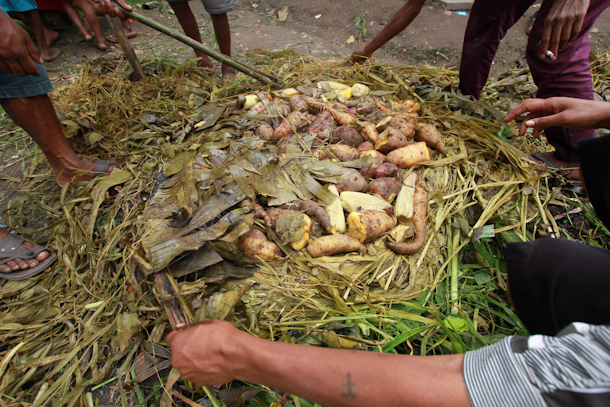 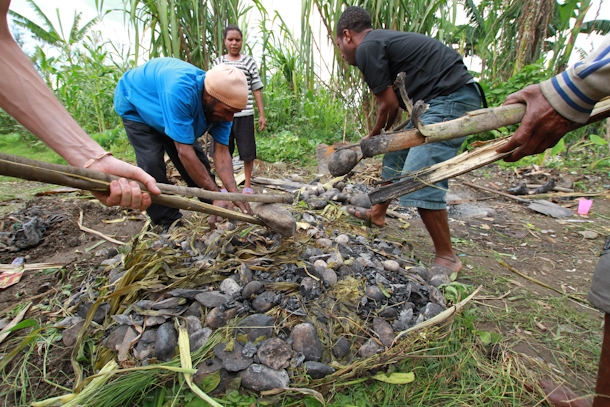 For thousands of years in the highlands of Papua, people have been cooking Bakar Batu, translated cooking stones. 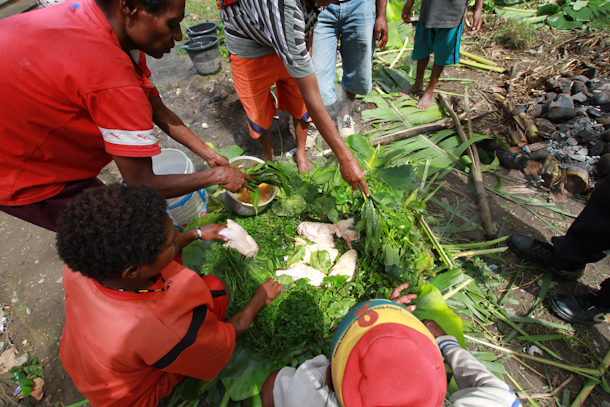 It takes a long time and lots of hands to prepare a meal. 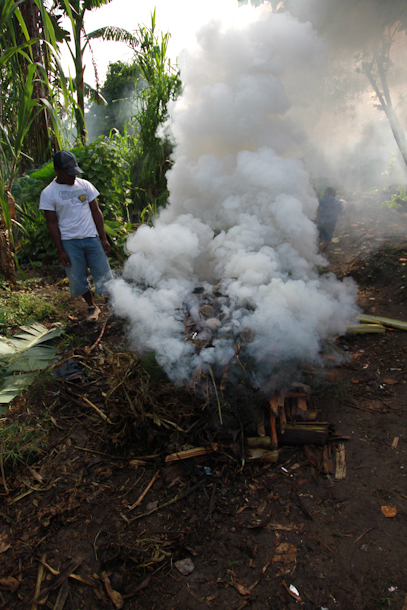 Then you light a fire. 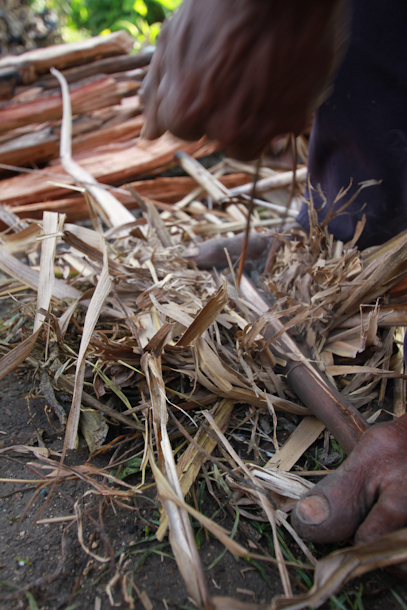 Either with a lighter or traditional style with wood and ratan.